The long, contentious election season is over and the reality is heartbreaking. Our next president ran a campaign based on fear and hate, and his supporters include our country’s most notorious hate groups. Get to know your New York City Council Members, State Assembly Members and Senators, and Federal Members of Congress and Senators and tell them they need to protect you, your loved ones, and your community from President Trump. Check out our #IssuesThatMatter campaign to learn more about the damage that President Trump and Vice President Mike Pence have promised to do to LGBT equality, HIV/AIDS services, healthcare, substance use, mental health care, and housing. Get care and support from Harlem United’s comprehensive programs and services, including Harlem Gets Fit. Volunteer or intern at Harlem United and help us create one community of hope, health, and healing. Contact your representatives today and demand that they increase funding for the federal Housing Opportunities for People with AIDS (HOPWA) program by $21 million in 2017. Harlem United provides safe and stable housing to nearly 170 people because of HOPWA. But without this increase, New York State will lose $2.2 million, threatening housing for thousands of people living with AIDS across the state. Donate to Harlem United so we can continue to serve nearly 10,000 people per year in Harlem and beyond. Your support is critical to ensuring that we can continue to provide lifesaving, transformative services to everyone who comes through our door, regardless of whether they have insurance. Stay connected with your fellow New Yorkers by participating in groups and attending events that reflect your values and give back to your community. 3 Replies to "Outraged About The Election? 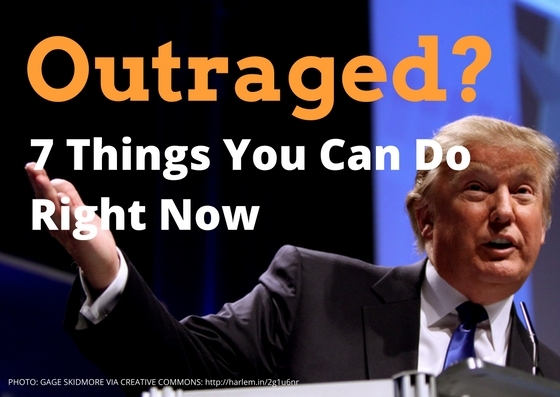 7 Things You Can Do"
Even if he settles out of court with his federal proceedings regarding Trump University we can get him impeached before he is even sworn in…we need these people to take it all the way to court . He is not sworn in so it will go to Hillary for majority of votes…he is going to be cutting everything…. Trump is unfortunately here to stay for 4 years. All though I think he’s more of a clown than an evil villain. He’s the biggest opportunist I’ve ever seen and 98% of what he says won’t come to fruition. On the bright side, I doubt he will be as bad as Nixon and the country isn’t in danger of falling apart. I just seriously hope the Dems don’t decide to run Hillary again. If they do I think we will be looking at another 4 years of Trump. Hillary herself is just AS BAD as Trump, just in different ways. Never going to happen. Unfortunately the clown is here to stay. All though, it’s not going to be as bad as many think. Certain things will be greatly effected, but overall the country isn’t going to fall apart or anything. He’s a the biggest opportunist I’ve ever seen. All though I don’t know if he will be worse than Nixon. The majority of what Trump says is for highlights though. 98% of it won’t come to fruition. A couple more years and hopefully he will be out of office. I just strongly hope Hillary doesn’t run again. If the Dems end up running Hillary, we might be looking at another 4 more years of Trump. She’s the only candidate they might run that is AS BAD as Trump, just in different ways.